I’ve been having too much fun lately. I’ve discovered a new technique during national quilting day. As many of you know The Quilt Show offered a “free” weekend. I think I watched a total of 8 shows. I loved the show featuring Susan Carlson. I watched her technique and loved it!!! I finally knew what I could do with all my scraps. 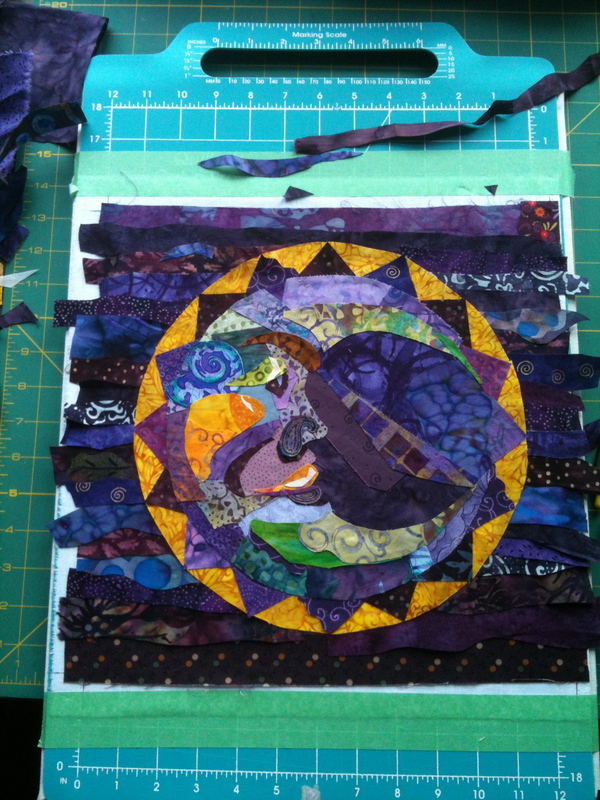 Susan uses small bits and left over pieces to create her pictorial quilts. I immediately purchased her book “Serendipity Quilts” and here is my first attempt….Sunface. I’m really pleased with the results. The facial features look pretty accurate and I learned a lot. 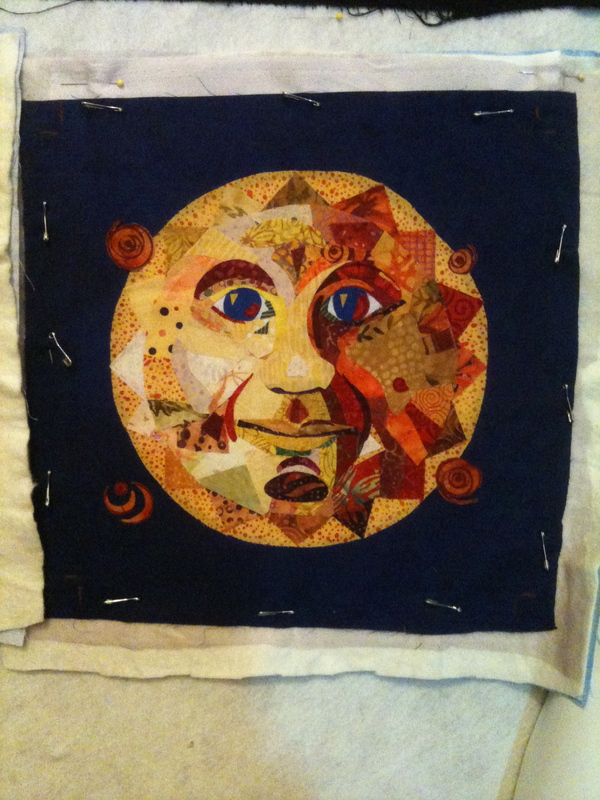 I couldn’t wait to start my next quilt….MoonFace. I had even more fun with this one. Also, for everyone who was following the block of the month. I’ve uploaded the last block of the cardinal in the column to the right. Love this idea! No wonder you were pawing thru the wastbaskets!